Looping Event Booth Videos: Lights, Camera, Action! In Part 1, we reviewed the who, why, and how of preparing good quality video for your event booth. Now we’ll take that video file and make it play on a low-cost device such as an Amazon Fire TV Stick. 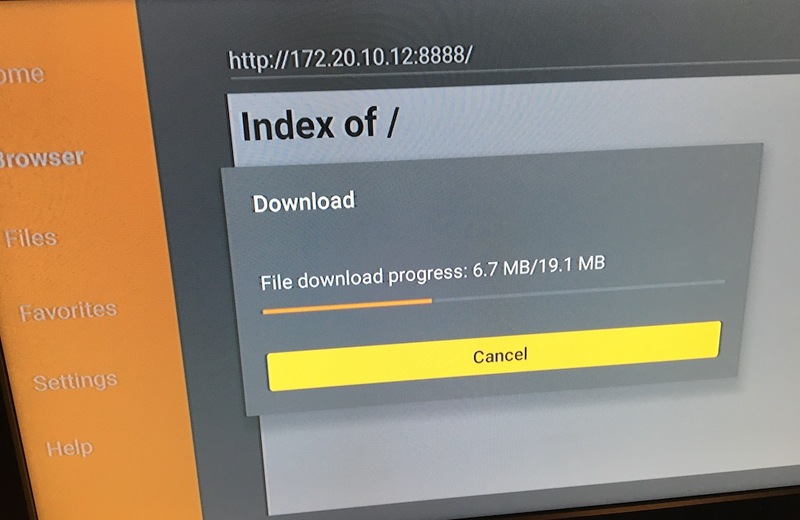 OK, that seems a lot – it will probably take you at least a couple of hours elapsed time, but it doesn’t need your total attention while doing updates, for example. Let’s dive in! 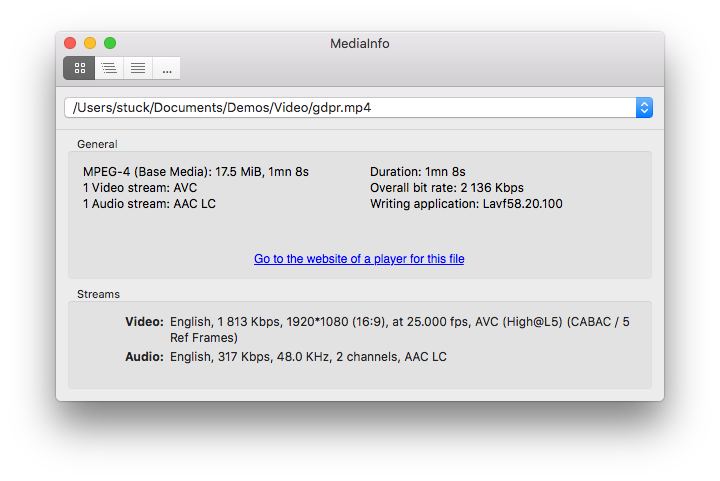 It’s a broadcast-quality file with a high bit rate of 43 Mbps. It’s over 350 megabytes for just over a minute duration. Apart from using lots of space, it will take a while to transfer to the stick – a pain if you’re stuck in the creative review/edit process. Firstly, follow the instructions to get your stick connected to wifi. I suggest using a guest network rather than your personal or corporate wifi, for security reasons. That way your main wifi access point (SSID) and your password never needs to go on the stick. 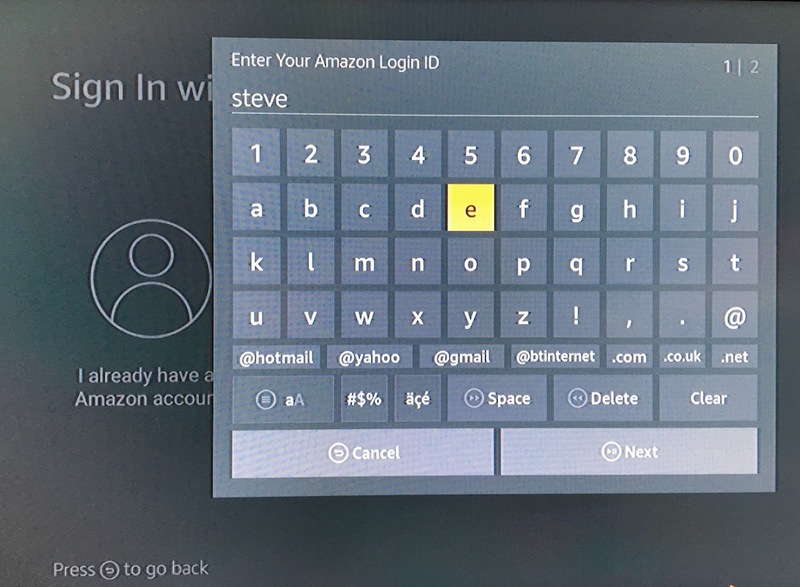 There’s no need to “save wifi passwords to Amazon” when you’re asked this. Register with an Amazon account. Leave plenty of time for this, as the stick will probably download and install updates first. You can create a specific new Amazon account just for this task, or use an existing one. After going through the built-in intro videos and skipping the usual streaming apps, you get to the home screen. You don’t need a Prime account for this project. The Fire stick, in a domestic situation, is usually connected to stable wifi, streaming content from commercial services such as Prime Video, Netflix, or YouTube. Here, we are not going to rely on wifi or streaming to play the videos, We will only need wifi to download content to internal storage. We’ll use an app that can download content to internal storage, and an app that can play content from it. Go to the Home screen, select the Search icon. 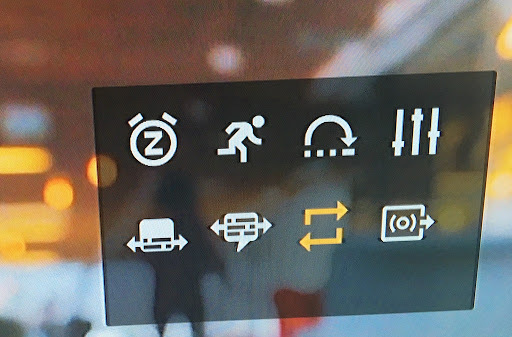 You might have to press “left” to get it to appear. Search for, and install the video player app VLC. Older sticks have an SD card slot, which you can use to transfer content; the newer ones have internal Flash storage but no way to access it physically. Mine has around 4.5GB of internal storage, which is enough for a lot of video. Follow these instructions to get the AFTV Downloader app. 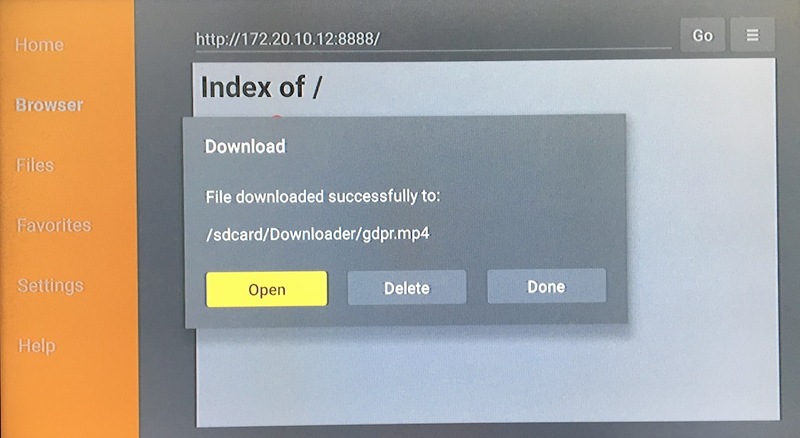 This will enable you to download files from a URL you enter using the remote. I’ve tried the usual file-sharing methods, however, the simple browser on the downloader app doesn’t make it easy to enter the needed long URLs, usernames and passwords. There is a pretty simple solution to this: use your own local web-server, with a nice short URL and no usernames/passwords. 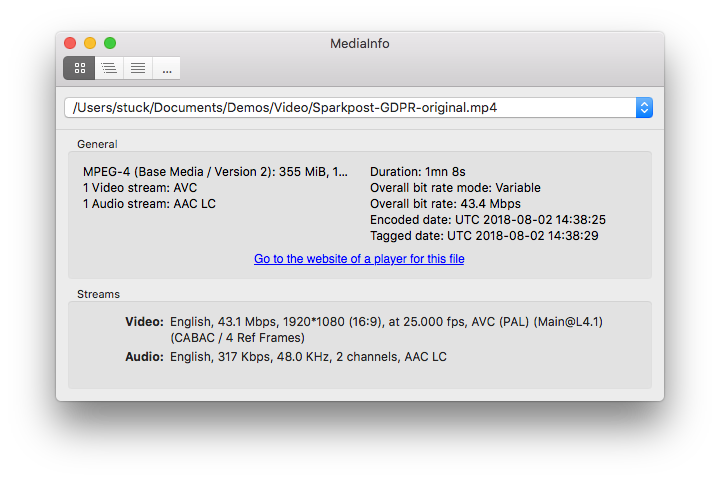 If you already have a public server, then just drop your video file on there, enter your URL and download. The risk, of course, is that anyone (including web crawlers) could potentially find your file. You may not care – after all, the video is about to be seen by everyone at your event – but at least you know. 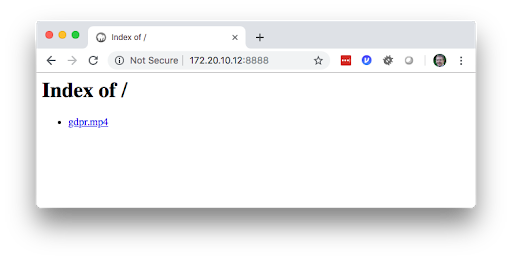 The simplest and most secure way is to run your own web-server locally. While this used to be a geek thing, it’s now simple. 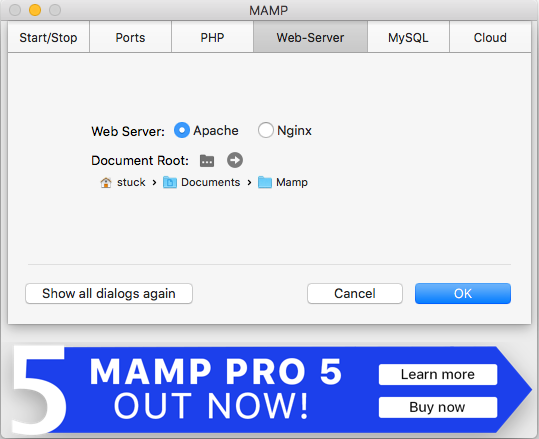 I recommend using a package such as MAMP (free version), available for both Windows and Mac OS X. If you run Linux, you probably know how to set up a web-server already! MAMP is easy to install and configure. It supports PHP and MySQL, but here we will just use it to serve static files. You go to Preferences and select the specific folder to serve your files from. I recommend using a separate folder with nothing else in, as you are exposing the contents of that folder to anyone on your network. 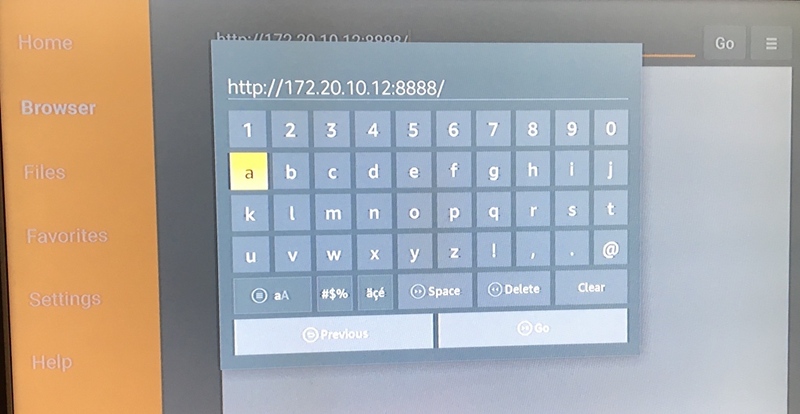 As an additional safeguard, I connect my computer and the Fire TV stick only to my phone’s wifi hotspot at this point. This is protected with a password. The hotspot also gives my machine an IP address from a specific range. As an additional check, my phone tells me exactly how many devices are connected, and I can shut down the hotspot as soon as we’re finished downloading. This doesn’t even use your phone’s data allowance, because the traffic is local. Put your finished video file into the selected folder. Check your machine’s IP address, and open your browser at this address + the port number MAMP is using (the default is 8888). You should see something like this: If you click on the file, the video will play in your browser. Congratulations! You’re nearly there. When it’s downloaded, you can choose “open” and VLC will play the video. Next time, you can just open the VLC app, choose the file, and play. If there’s no obvious thumbnail of your video shown, you can find files in the “Downloader” folder, under “Internal Memory”. Now you can ramp down your MAMP by selecting “Stop Servers”. You could leave your stick still able to access your phone personal hotspot in case you need to adjust things at the event, but this is not strictly necessary – you could remove wifi credentials from the stick to be sure. As an extra precaution, shut down your phone’s personal hotspot. You’re now ready for your event. On startup, the stick may nag you to connect to wifi. You can simply ignore this, but it becomes a nuisance trying to get to the home screen. If your stick still has your hotspot credentials, you can briefly enable your phone hotspot to get the message to go away; but there is another, better way. Just go to Settings / Applications / Manage Installed Applications / VLC / Launch Application. This works when you have no wifi connection. 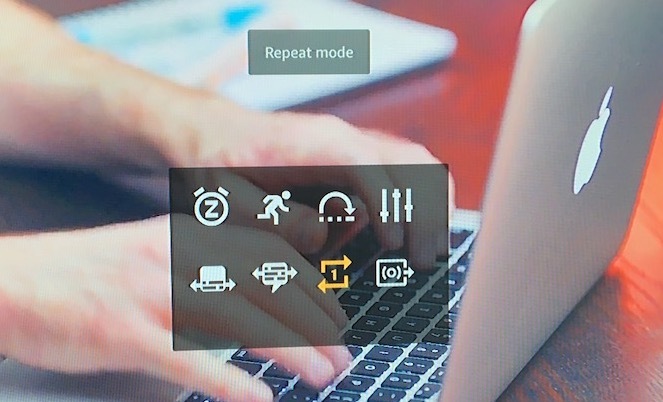 Choose your video file, play, and set the repeat options. You should see each video play in sequence. That’s it for now! Happy eventing.